As Christmas approaches, three divorced women find themselves having to deal with their ex-husbands. Cass’s daughter is getting married and she wants her father to walk her down the aisle. Confronted with a husband who has been absent for years and then swoops in with his check book and new wife like a knight in shining armor, Cass struggles with jealousy and feelings of inadequacy. Ella is living in the same house with her ex-husband. She is trying to get on with her life but is confronted on a daily basis with her past. A man she still has feelings fall. A man who despite evidence to the contrary, insists he never cheated on her. After running off with another woman, Charley’s husband has returned looking for forgiveness and a second chance. His betrayal destroyed her, he took her money and set up house with the other woman. Can she forgive him and does he deserve it? Merry Ex-Mas is a short and sweet holiday season book. As you would expect from a Christmas novel, it’s not too challenging and has an optimistic and upbeat message. 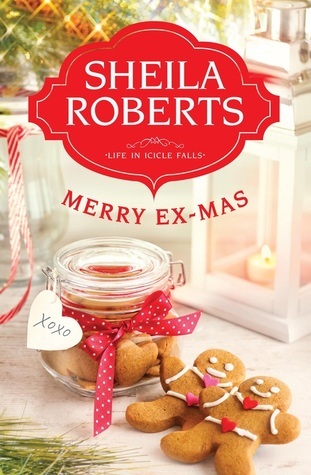 This entry was posted in Uncategorized and tagged Christmas novel, contemporary romance, Merry Ex-Mas, romance, Sheila Roberts by setaian. Bookmark the permalink.